Who’s driving up U.S. healthcare costs? 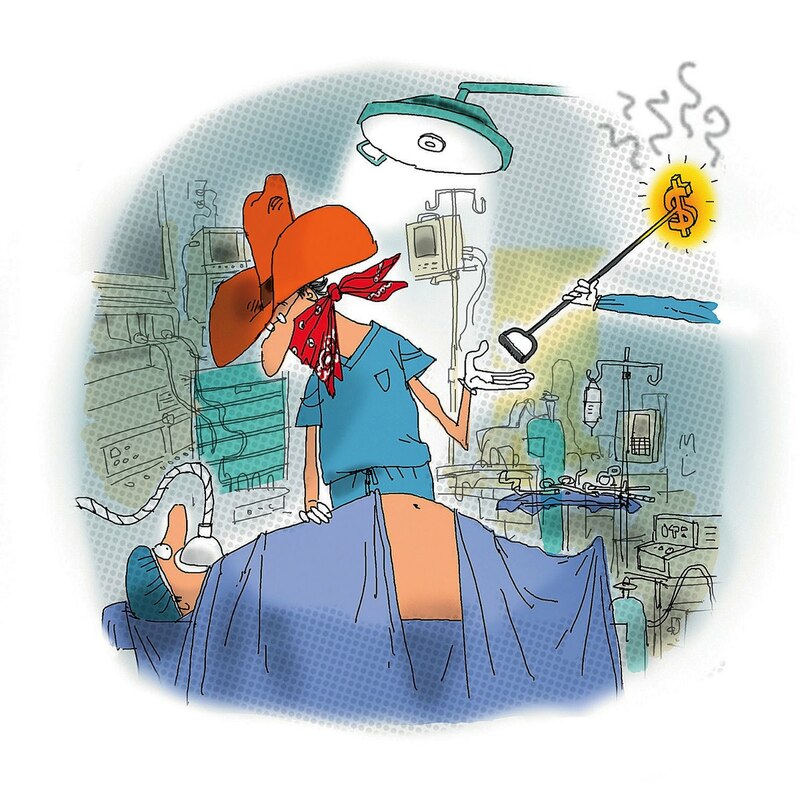 A recent study by Harvard professors and colleagues revealed that the culprits may be “cowboy doctors”—physicians who provide intensive, unnecessary, and often ineffective patient care, resulting in wasteful spending costing as much as 2 percent of the nation’s Gross Domestic Product—hundreds of billions of dollars annually. The authors, including Eckstein professor of applied economics David Cutler  and assistant professor of business administration Ariel D. Stern, found that physicians’ beliefs in clinically unsupported treatment procedures can explain as much as 35 percent of end-of-life Medicare expenditures, and 12 percent of Medicare expenditures overall. The study  noted that very few doctors wanted to discuss the option of palliative care with patients, prompting Cutler to draw an analogy to auto mechanics: “You want this engine fixed, I’ll fix it. I’m not going to talk to you about whether you should get a new car—that’s someone else’s’ job.” But as a result, he said, patients are “Ping-Ponged back and forth” between the primary-care physician, who recommends a specialist, and the specialist, who prefers to leave the question of whether certain treatments are necessary to the primary-care physician. Meanwhile, medical bills rise.